Dale Wayne Bilger, 65, of Bloomville, OH passed away on Friday, January 19, 2018 at Marion General Hospital in Marion, OH. He was born on January 29, 1952 in Galion, OH to Raymond and Flossie (Stoneman) Bilger. Dale married Melinda Marshall on December 25, 2001 in Republic, OH and she survives. He worked at Excel Wire for twenty-six years and then at Smith Dairy for fourteen years and retired in 2014. Dale had a passion for Mustangs. He enjoyed working on cars, going to flea markets, car shows, and swap meets. He loved spending time with his family. Dale is survived by his wife of sixteen years, Melinda Bilger, Bloomville, OH; children, Bobby (Dulcy) Bilger, Green Camp, OH, Dana (Jeff) Frye, Elkhart, IN, Sherry Powell, Martel, OH, Tracy (Jody) Carter, Shelby, OH, Philip (Andrea) Nokovich, Crestline, OH and Sean (Heather) McKay, Norwalk, OH; siblings, Ruth Dempster, Jerry (Judy) Bilger, Larry Bilger, Norman (Helen) Bilger, Dennis (Pauline) Bilger, Joyce (Bud) Dempster and Delbert Bilger; sister-in-law, Linda Bilger; twenty-seven grandchildren; three great grandchildren; numerous nieces and nephews and many friends. 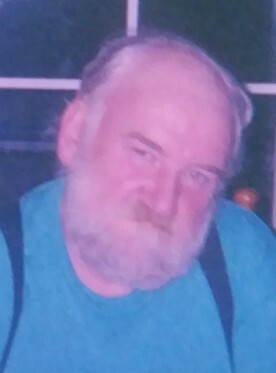 He was preceded in death by his parents; sons, Michael and Steve Bilger; siblings, David and Herb Bilger, Glenna (Jake) Shuster, Mary Bilger and Catherine Lyons.